Home of award-winning barber duo. 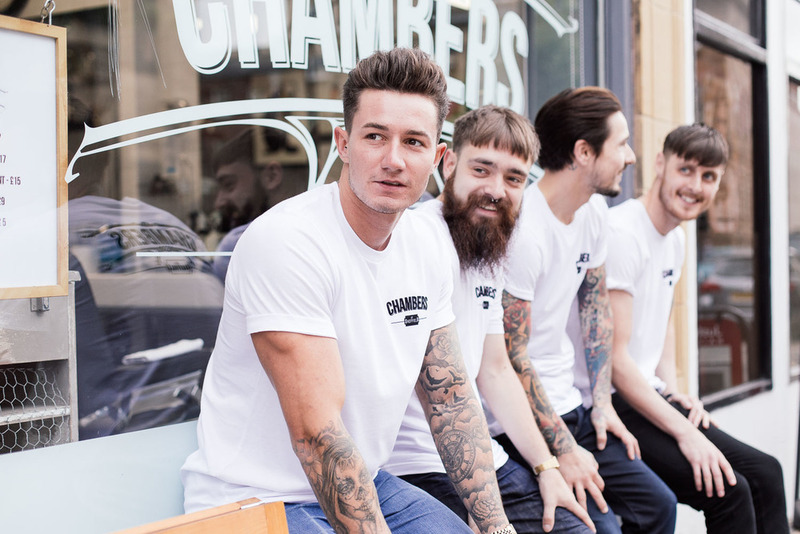 Chambers of Sheffield was founded by two award-winning barbers, Jonno and Luke, who gave us the freedom to choose the garment style, colour and layout. We decided on a high quality t-shirt for durability and fit. A monochromatic colour scheme was most appropriate to be consistent with their brand. 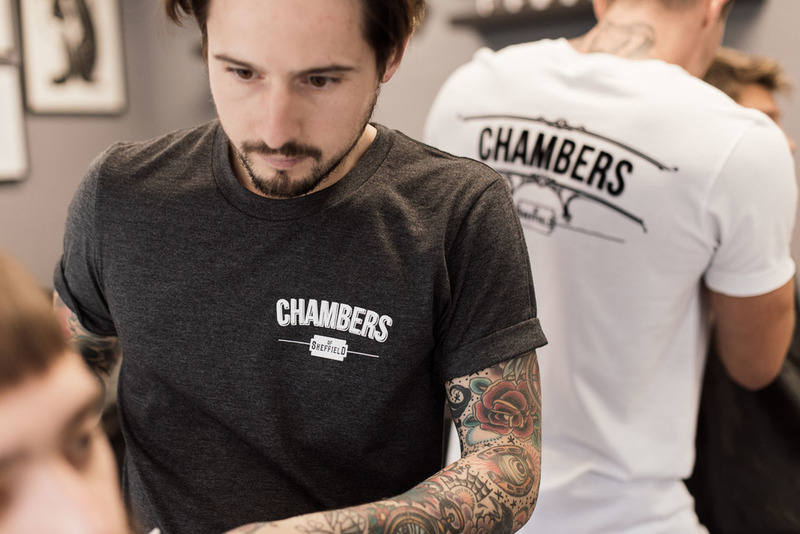 The Chambers logo looks great and so a minimal layout was all it needed to create an attractive final product.